The Crossbreed® SuperTuck® Deluxe Glock® 17/19/22/23 is the revolutionary holster that provides deep concealment for your handgun. Designed exclusively and patented by Crossbreed®, the SuperTuck® Deluxe is hand molded to fit Glock® 17/19/22/23 models. It features a standard cut and can be worn comfortably with or without your shirt tucked in depending on your personal carry style. SnapLok powder coated steel belt clips are modular to enable you to adjust both the cant and ride height of your handgun. 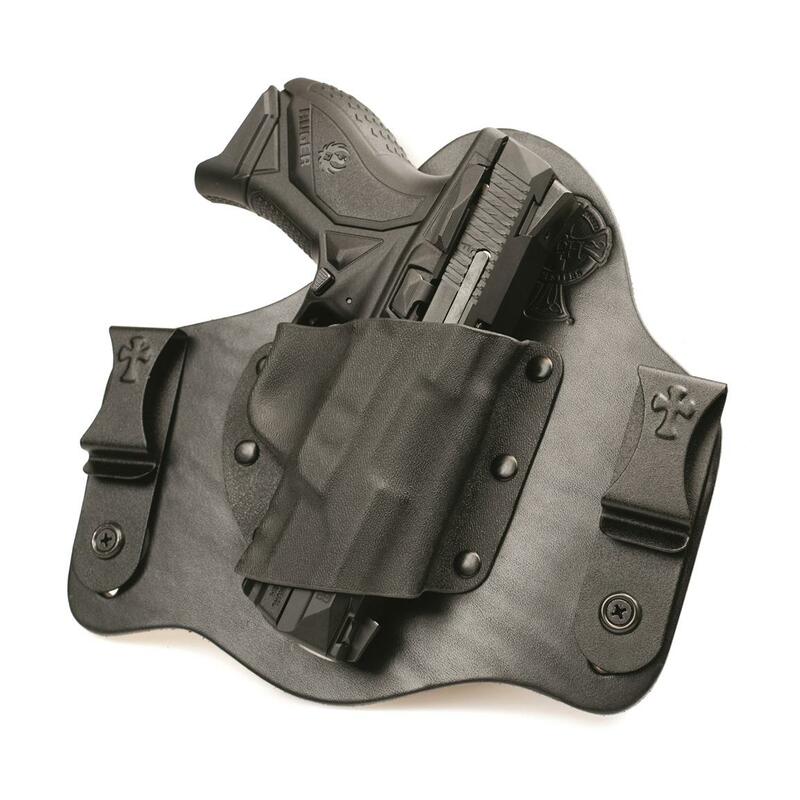 Crossbreed SuperTuck Deluxe Glock 17/19/22/23 Holster is rated 4.5 out of 5 by 2. Rated 4 out of 5 by Full size glock 22 from Build quality is excellent!! Needed slight (DIY)modification Excellent construction. High quality components. Very comfortable with full size glock 22I ordered this product out of the convience and pleasure to order from sportsmansguide.The leather flap on the back of the holster was to big and would hinder a good grip on the draw requiring repositioning after draw and before firing. Marked out on leather the intrusive areas and cut them off with heavy scissors and cleaned up edges with knife. I rounded all corners off and it still is very comfortable I really can't tell the difference. I only removed what was necessary where hand would hit. Great holster and easy mod. If combat cut was available here I would have purchased. But this was easy enough and would recomend this option. 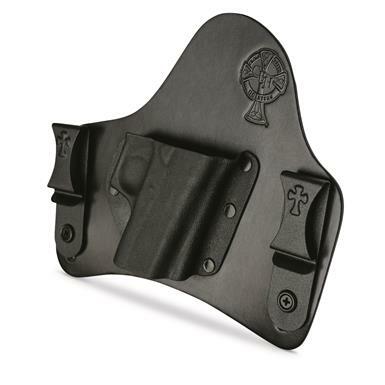 Rated 5 out of 5 by Rexwhitt from Cream of the crop This is an excellent holster!! If you go to Crossbreeds website they have a video on how to adjust the tension on you fire arm. There are four adjustment holes on both of the belt clips to modify to your individual carry style or comfort. Adjustments are quickly and easily made. Easily tuck in any type of shirt. I purchased the horsehide since I live in a humid environment and could not be happier. I will be purchasing another one for a second of my concealed carry weapons. There is a little bit of a wait time to get the product shipped but it was worth the wait. Great Product! !